Engineer? Technician? And Parent of a Primary school child? The School Gate SET wants YOU! The School Gate SET is an online community of parents who volunteer to add hands-on confidence with Science, Technology, Engineering & Maths (STEM) in their children’s primary schools during the school day. We provide activity ideas, training and mentoring, through practical workshops and via our blog, webinars and other social media. 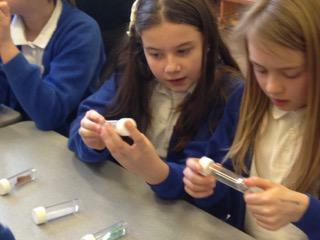 The School Gate SET builds on the Dorset-based Science Sisters project and is set to become a national network led by engineer and former Tomorrow’s World presenter, Kate Bellingham. Like Jan, when Kate’s children started primary school she volunteered to listen to readers and help out on school trips, but soon began to wonder if her skills could be put to better use. Soon she was helping in maths lessons and running an after-school science club, giving the children hands-on experiences that they wouldn’t otherwise have had and challenging their perceptions of what a “Mum” can be. Science, Technology, Engineering and Maths (STEM) subjects are crucial to address the UK’s skills-gap, but many primary school teachers do not come from a STEM background and face increasing pressures on their time, both in and out of the classroom. Kate has founded the School Gate SET community to inspire and support other STEM-savvy parents who want to help their children’s schools. To date, School Gate SET parents have led Science Week activities; advised on attaining the Primary Science Quality Mark; and set up after-school Code Clubs. Ingenious has funded over 140 projects to date, providing opportunities for over 2,000 engineers to take part in public engagement activities, to gain skills in communication and to help bring engineering to the very centre of society. Categories : Education, Equality and Diversity, Girls in engineering, S.T.E.M.